Hilmir Freyr Heimisson took the lead in the tournament and never let it go. 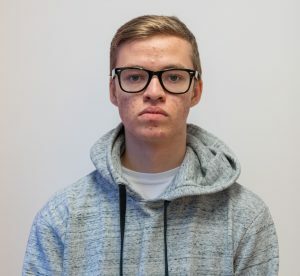 He won half a point before Jere Lindholm from Finland and another half point before five Swedish players, where Kaan Küçüksarı got the 3rd prize. 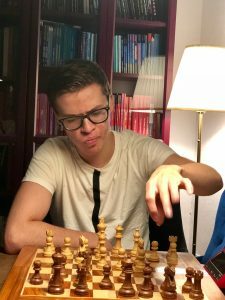 Heimisson remained undefeated during the tournament, but his games were not cautious. As in the game from the first round against Jere Lindholm. 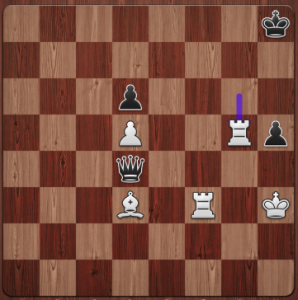 Heimisson (white) has seemingly got his own rook trapped. But he knows what he is doing. After 19.Rxc6! bxc6 20.Nxc6 has whites remaining pieces a lot of life and the a-pawn looks dangerous. 20…Qd6 21.a4 Rb6 22.Ra1 Re8 23.a5 Ra6 24.Dc4 Raa8 25.Ne5! and the threats against a8 and f7 decided the game. Congratulations to Hilmir and Iceland! Before the last round of Uppsala Young Champions Hilmir Freyr Heimisson from Iceland is still in the lead, but only half a point before Jere Lindholm from Finland and another half point before a group of swedes. Follow the last round live at www.uppsalayoungchampions.se/live/ from 3 pm. 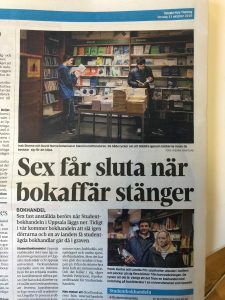 An interview with the player David Narva (in Swedish). He is playing Uppsala Young Champions for the 5th(!) time. Who is going to stop Heimisson? “Who is going to stop Heimisson from Iceland?” is the head line on schack.se (home page of the Swedish Chess Federation) to day? It is a legitimate question, since he is one full point ahead the rest of the players. 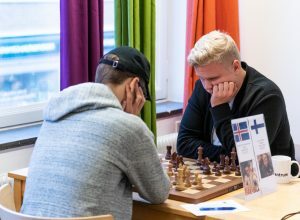 In round 6 Heimisson beat Hampus Sörensen and tomorrow he is playing the Swedish junior champion Kaan Küçüksarı. 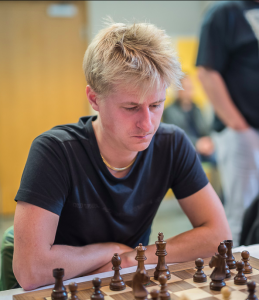 Simon Thorhallsson from Iceland (black) had fought for a long time against Collin Colbow from Germany, without much hope. White just made the seemingly decisive 71.Rg6-g5. The threat is Rf3-f8 with mate. 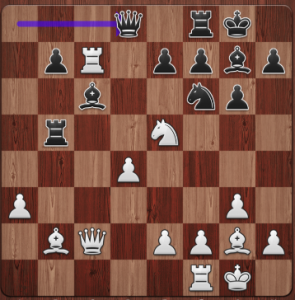 But Simon found the last chance – he sacrificed the queen with 71…Qh4†! and whites only options was 72.Kxh4 and stalemate! 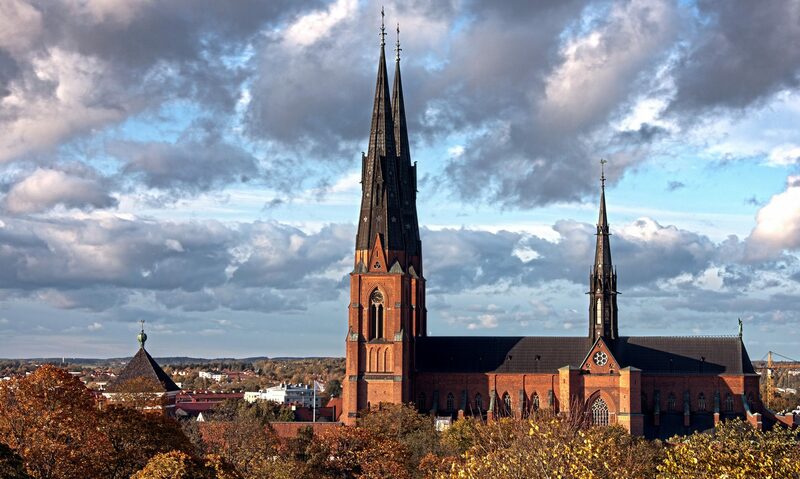 On Sunday night most of the participants played a blitz tournament together with some of Uppsalas blitz stars. Even some players from other cities joined and it was a great tournament. The games from the first five rounds can be seen below. Click above the board to choose game. The chess photographer Lars OA Hedlund has made a video from the tournament.